Water is a scarce resource, and South Africa is one of the 30 driest countries in the world. As we navigate the growing effects of climate change and more frequent and severe droughts, it’s critical that we each do our bit to save what precious water we have. Smaller leaves mean less surface area for water to be lost through evaporation. Go wild with ericas, acacias, rosemary, origanum and thyme. Some water wise plants shed their leaves, or have leaves that fold closed to reduce sun exposure and moisture loss. Good ones to look out for are the Karee tree, acacias and buffalo thorn. The colour grey reflects sunlight away from the plant, keeping it cooler and reducing moisture loss. Try lavender, artemesia and arctotis. Hair on the leaves of a plant is used to slow down air movement past the leaves and thereby reduce water loss. Look out for silver tree, lamb’s ear, beach salvia and helichrysum. The swollen, fleshy leaves of succulents are used for storing water in times of drought. 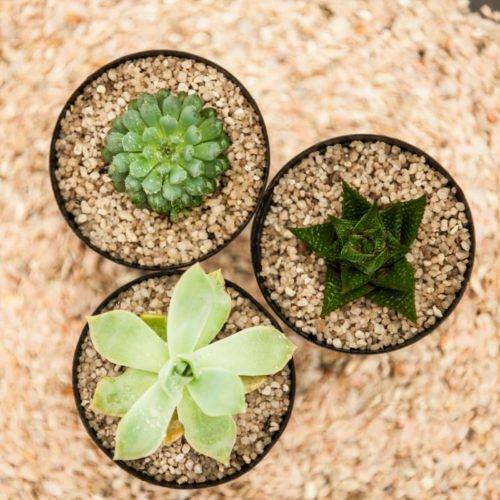 Succulents to try include crassula, aloe, echeveria and vygies. Some plants have a waxy coating on their leaves, which helps to seal in moisture. Ones to keep an eye out for include euonymus, kalanchoe and Indian hawthorne. These clever plants turn the lighter side of their leaves upward to reflect the sun away in times of water stress. Great ones to try are the wild olive, gazania and indigenous buddlejas. We stock a wide variety of water-wise plants at all of our Stodels Garden Centres. If you need further guidance in choosing water-wise varieties, pop in and ask one of our horticulturalists.